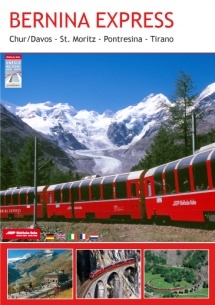 In 2008 two railway lines of the Rhätische Bahn gained acceptance to Unesco’s World Heritage. The Albula and Bernina both have one train in common: the Bernina Express. This film follows the top attractions on both lines that underscore the acceptance and briefly shows the main attractions of towns and landscape that contribute to the experience. To the enjoyment of railfans the new Allegra train set is introduced in many shots.